It is a delight that the sacraments of the Church, such as baptism, marriage, and burial, are the same for everyone, princes and paupers alike. The liturgy, or pattern of the service, in the Church of England and in the Episcopal Church, and in churches throughout the worldwide Anglican Communion is consistent with what has been used for centuries. So if you’re curious about the marriage ceremony, or inspired by the beauty and meaning of the prayers and promises in it, we can help. What will Harry and Meghan’s marriage ceremony be like? 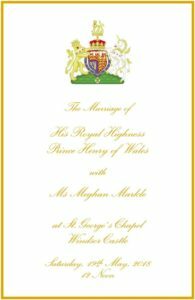 The Communications Secretary to Prince Harry indicated in an update on the royal family’s website, “We will publish the full Order of Service on the royal wedding website on Saturday morning so members of the public can follow the service at home.” This may help you make deeper spiritual connections to what you see and hear, what is said and sung. Here is the Order of Service PDF (20 pages). If you wish to view it on a mobile phone, CNN has the order of service in text on this web page. It’s likely that the wedding liturgy will be from the Church of England’s 1966 Series One text Solemnization of Holy Matrimony. The Rev. 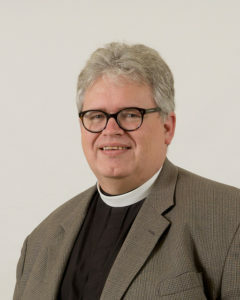 Dr. Andrew Wright, a liturgist and associate rector at Trinity Episcopal Church in Fort Worth, offers some background on this text and its relationship to the marriage liturgies used in The Episcopal Church. How is the English Liturgy related to Episcopal church liturgy? Since The Episcopal Church was originally part of the Church of England, becoming a distinct branch after the Revolutionary War, the patterns of worship are related as well. This can be seen in the various versions of the Book of Common Prayer that each church uses. “The English Book of Common Prayer and our Book of Common Prayer experienced a largely parallel development,” Wright explains. How has the service changed? 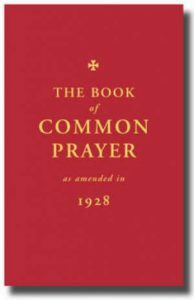 “The official liturgy of the Church of England is still the 1662 Book of Common Prayer,” Wright noted. This text is often called ‘the BCP’ for short. The 1662 BCP, Wright said, retained the vow for the wife to obey the groom, and this is one of the main differences compared to later versions of the service.